It was a Saturday like any other. We spent the early morning doing housework and by late morning were headed over to the local shelter to take some dogs outside for playgroup. As soon as we arrived at the shelter it was pretty clear this was not an ordinary morning. A few hours before we arrived, the staff came in to find a terrified, an abandoned pit bull with no fur, fleas, and an unknown (at the time) skin condition sitting at the back of an outdoor, sand-filled pen. His skin was bloody and cracked, he stunk to the high heavens, but his eyes were full of love. 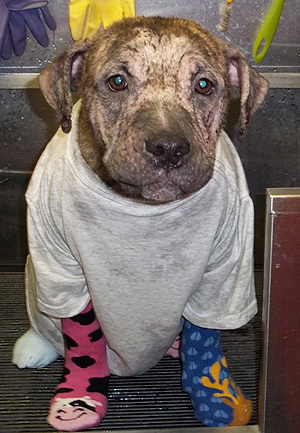 The vet at the shelter ran some tests and determined that the dog had Demodex mange. It was difficult to clear up, but it wasn’t contagious and this meant that we could sit with the scared little pup. We sat on the ground with the dog and he curled his little stinky, crusty body into me. We sat like that for hours. Mike and I spent time with him – playing, cuddling, and giving him medicine – every day after that. We took him home with us on weekends and eventually adopted him. We named him Frankie. We started socializing Frankie from the very beginning. We took him everywhere and introduced him to everyone: kids, adults, dogs, cats, chickens, roosters. You name it! It was evident that Frankie was able to worm his way into people’s hearts. He was a little nervous (and who wouldn’t be with the start he had), but he learned quickly. We decided that Frankie’s way to give back was to fill the shoes of his late sister Bumper and, just like she once did, he would be a breed ambassador. 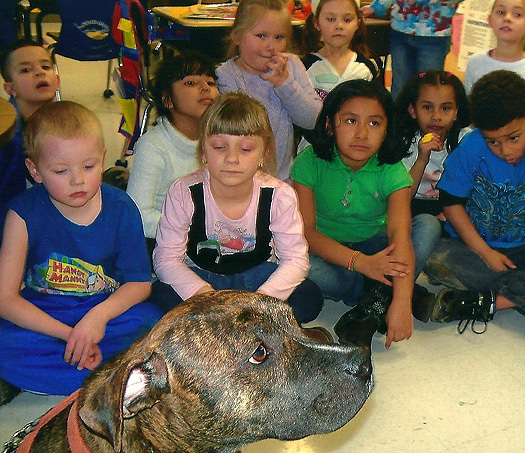 Today he attends schools in NJ to teach children empathy and to teach pit bull awareness. 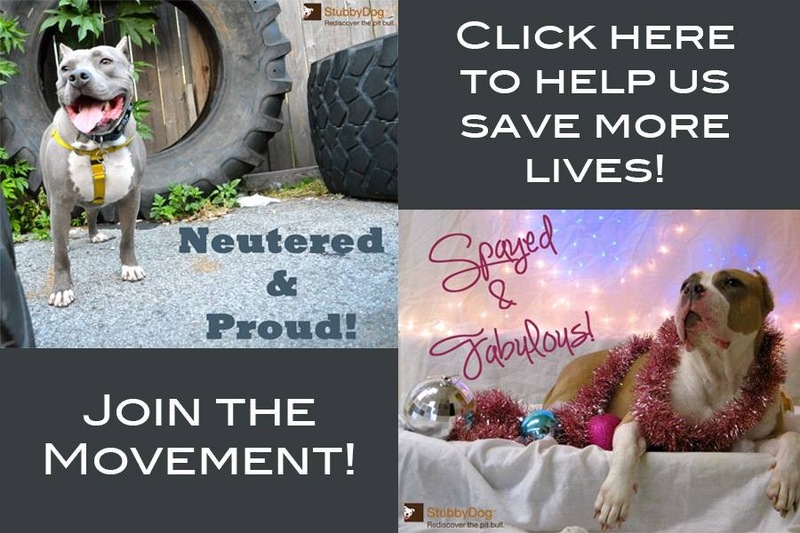 He attends local events to support SAVE – the NJ shelter from where he was adopted, appearing in his SAVE T-Shirt and teaching people that pit bull type dogs are loving and intelligent. Frankie is a busy guy these days. 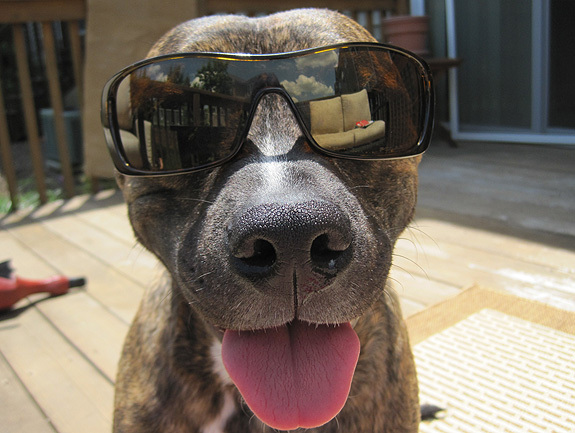 He writes a blog where he talks about issues of importance to him like volunteering at animal rescues, BSL and more. Frankie also has a children’s book which he uses when he visits students in class and the book is also available for sale. He makes a donation to SAVE for every copy sold! You can find the book here. It’s moments like this that keep us doing what we do. Frankie has been written about online and he was also the cover story on the SAVE Spring Newsletter. Frankie just graduated from basic obedience, and is continuing his training to be a therapy dog. He has aspirations to allow kids to read to him to gain confidence in their reading skills He will take his CGC test in the fall and his therapy test soon after. Frankie also has a new sister named Lily. Lily was abandoned after being used as a breeding dog and we adopted her to give her a new life. And when Frankie isn’t out saving the world he’s busy teaching Lily the finer points of being pampered in a loving, safe home. @JennKaliser Thanks Jenn for sharing Frankie’s story and now his Facebook page. We love Frankie.